In 1873, a seminary student came to Memphis to help the congregation. 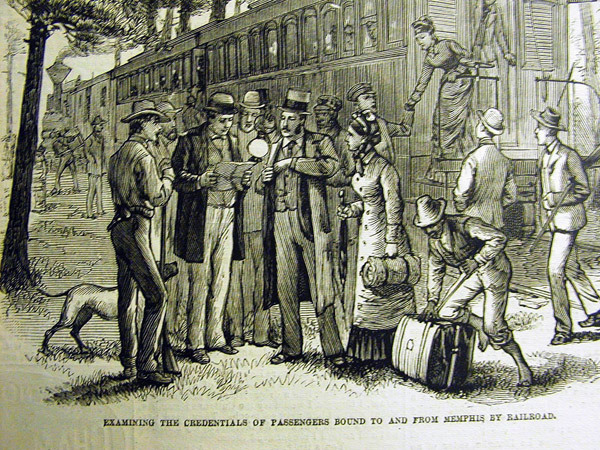 Immediately on his arrival, Memphis was struck with a devastating outbreak of Yellow Fever. The epidemic took thousands of lives and made many thousands more deathly ill. Trinity’s pastor, Dr. G M A Gotsch, became gravely ill, as did his children. His wife and young Henry Sieck worked day and night to bring assistance to the sick, find care for the children newly orphaned, and keep a level of calm. In addition, Henry took on the pastoral duties of Dr. Gotsch. Trinity lost nearly a hundred of its members to the disease, oftentimes, entire families. In the fall of that year, the epidemic subsided and Memphis and Trinity did its best to carry on. Dr. Gotsch found himself too weak to carry on as pastor so on his recommendation, the congregation called Henry Sieck to be its pastor. Five years later, Memphis again was struck with Yellow Fever. Having experienced the death and devastation of the last epidemic, thousands of Memphians fled the city. It had not been discovered yet how Yellow Fever was spread. Outlaying communities set up armed militias to guard the roadways and train lines, stopping anyone from or having passed through Memphis. Caught in this panic, was Pastor Sieck and his wife, who was pregnant with their first child. You can read Pastor Sieck’s diary of his experiences being stranded without food or water, hunted by “Health Department” posses, and watching the suffering of his congregation while stranded across the river. 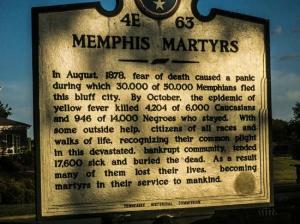 I had read Pastor Sieck’s diary earlier, and when Ebola hit the news I immediately thought about Memphis’ yellow fever epidemic. I think about some of the stories and videos that have come out of Monrovia and see how similar it had to have been for Memphis. Does the LC-MS have a partner church there? This crisis should be a natural thing for Trinity to rally around – we have been there and done that. Let us also pray that their country is not destabilized politically and economically after the Ebola crisis abates. When the Lutheran Church first started sending foreign missionaries, West Africa was one of the first areas targeted. As a result, there are a number of Lutheran churches that work closely with Christian churches of other denominations for the spiritual and physical well being of the peoples of those nations. Today, LCMS works closely with those churches to give them nurture and support. Here’s more.